Gustav Klimt was born in Vienna, in 1862, into a lower middle-class family of Moravian origin. His father, Ernst Klimt, worked as an engraver and goldsmith, earning very little, and the artist's childhood was spent in relative poverty. The painter would have to support his family financially throughout his life. In 1876, Klimt was awarded a scholarship to the Vienna School of Arts and Crafts (Kunstgewerbeschule), where he studied until 1883, and received training as an architectural painter. He revered the foremost history painter of the time, Hans Makart. Klimt readily accepted the principles of a conservative training; his early work may be classified as academic. In 1877 his brother Ernst, who, like his father, would become an engraver, also enrolled in the school. The two brothers and their friend Franz Matsch began working together; by 1880 they had received numerous commissions as a team they called the "Company of Artists", and helped their teacher in painting murals in the Kunsthistorisches Museum in Vienna. After finishing his studies, Klimt opened a studio together with Matsch and Ernst Klimt. The trio specialized in interior decoration, particularly theaters. Already by the 1880s, they were renowned for their skill and decorated theaters throughout the Austro-Hungarian Empire, and much of their work can still be seen there. In 1885, they were commissioned to decorate the Empress Elizabeth's country retreat, the Villa Hermes near Vienna (Midsummer Night's Dream). In 1886, the painters were asked to decorate the Viennese Burgtheater, effectively recognizing them as the foremost of decorators of Austria. Works that Klimt painted for this project include the Cart of Thespis, the Altars of Dionysosand Apollo and the Theater at Taormina, as well as scenes from the Shakespearean Globe Theater. 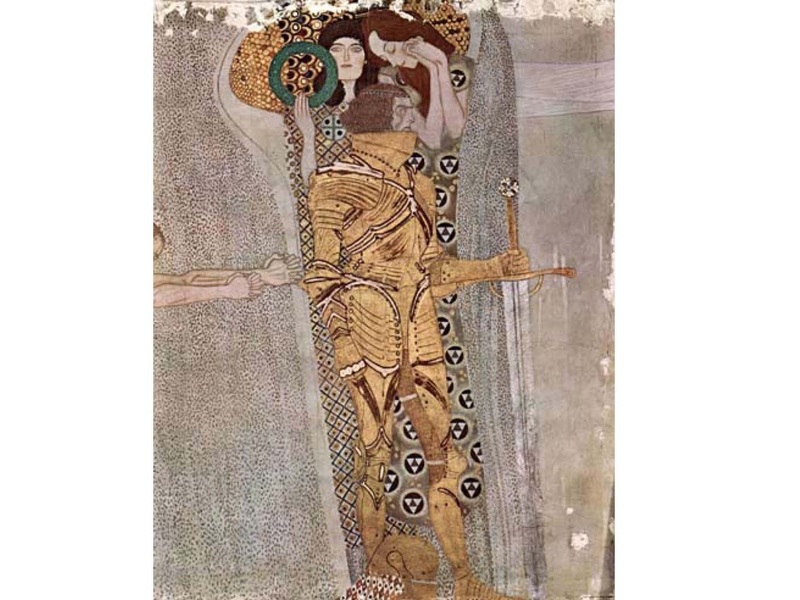 At the completion of the work in 1888, the painters were awarded the Golden Service Cross (Verdienstkreuz), and Klimt was commissioned to paint the Auditorium of the Old Burgtheater, the work that would bring him to the height of his fame. This painting, with its almost photographic accuracy is considered one of the greatest achievements in Naturalist painting. As a result, Klimt was awarded the Emperor's Prize and became a fashionable portraitist, as well as the leading artist of his day. 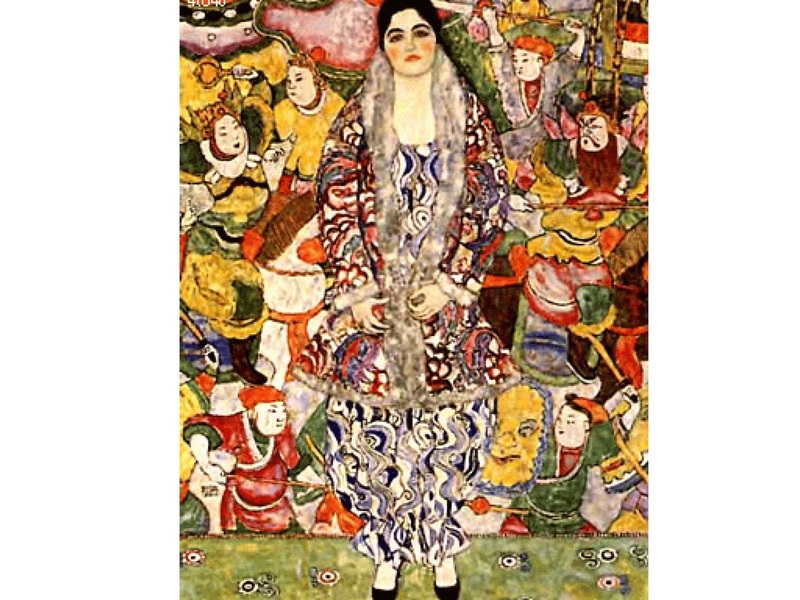 Paradoxically, it was at this point, with a fabulous career as a classicist painter unfolding before him, that Klimt began turning towards the radical new styles of the Art Noveau. In the coming few years, the artistic trio fell apart. Franz Matsch wanted to branch out into portrait painting, which he did with some success. 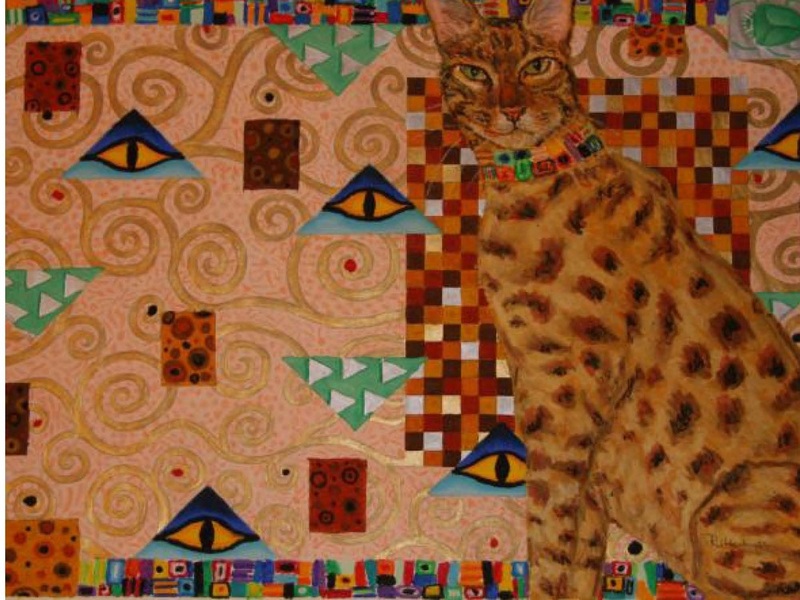 Meanwhile, Gustav Klimt's changing style made it impossible for them to work together on any project. Furthermore, Ernst Klimt died in 1892, shortly after the death of their father. Struck by this double tragedy, Gustav retreated from public life, focusing on experimentation and the study of contemporary styles of art, as well as historical styles that were overlooked within the establishment, such as Japanese, Chinese, Ancient Egyptian and Mycenaean art. In 1893, he began work on his last public commission: the paintings Philosophy, Medicine and Jurisprudence, for the University of Vienna. The three would only be completed in the early 1900s, and they would be criticized severely for their radical style and what was, according to the mores of the time, lewdness. Unfortunately, the paintings were destroyed during the Second World War and only black-and-white reproductions of them remain. The painter was not alone in his opposition to the Austrian artistic establishment of the time. In 1897, he, together with forty other notable Viennese artists, resigned from the Academy of Arts and founded the "Union of Austrian Painters", more commonly known as the Secession. Klimt was immediately elected president. While the Union had no clearly defined goals or support for particular styles, it was against the classicist establishment, which it found to be oppressive. During this period Klimt did not confine himself to public commissions. Beginning in the late 1890s he took annual summer holidays with the Flöge family on the shores of Attersee and painted many of his landscapes there. Klimt was largely interested in painting figures; these works constitute the only genre aside from figure-painting which seriously interested Klimt. 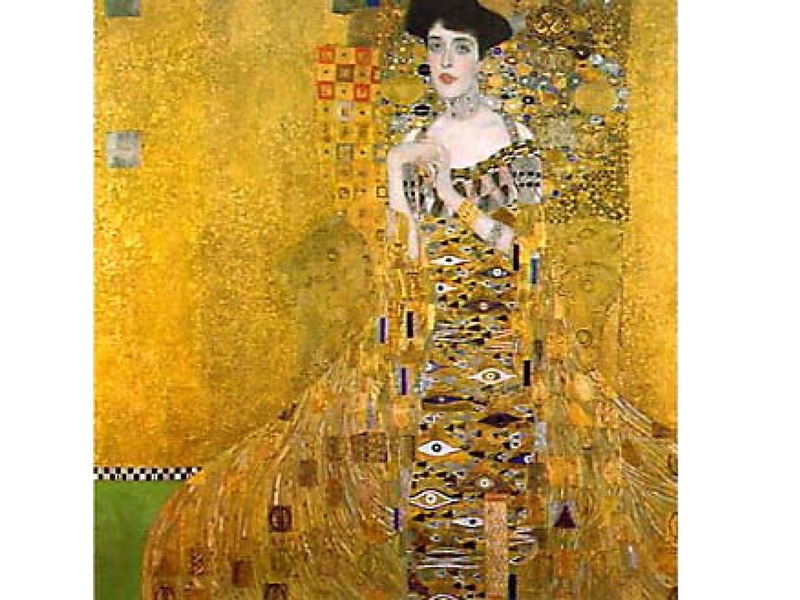 Klimt's Attersee paintings are of a number and quality so as to merit a separate appreciation. Formally, the landscapes are characterized by the same refinement of design and emphatic patterning as the figural pieces. Deep space in the Attersee works is so efficiently flattened to a single plane, it is believed that Klimt painted them while looking through a telescope. As he worked and relaxed in his home, Klimt normally wore sandals and a long robe with no undergarments. His simple life was somewhat cloistered, devoted to his art and family and little else except the Secessionist Movement, and he avoided café society and other artists socially. 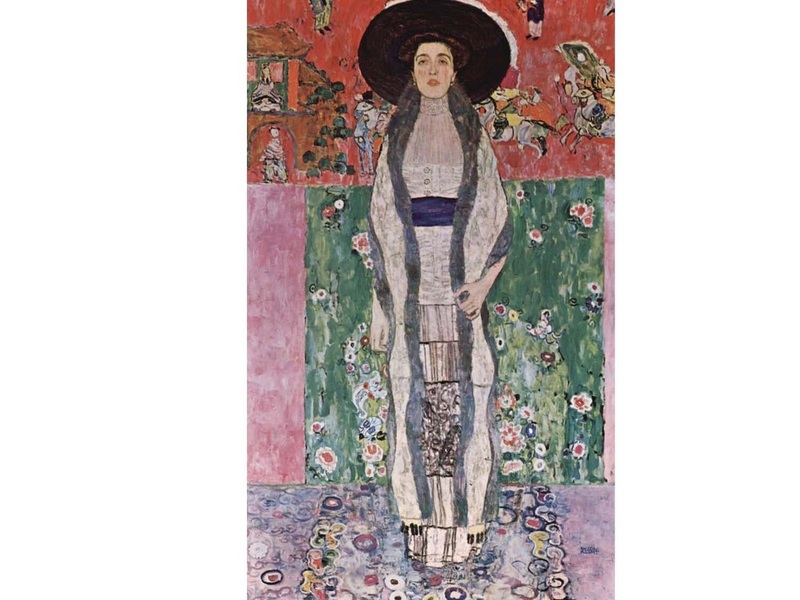 Klimt's fame usually brought patrons to his door, and he could afford to be highly selective. His painting method was very deliberate and painstaking at times and he required lengthy sittings by his subjects. In 1915 his mother Anna died. 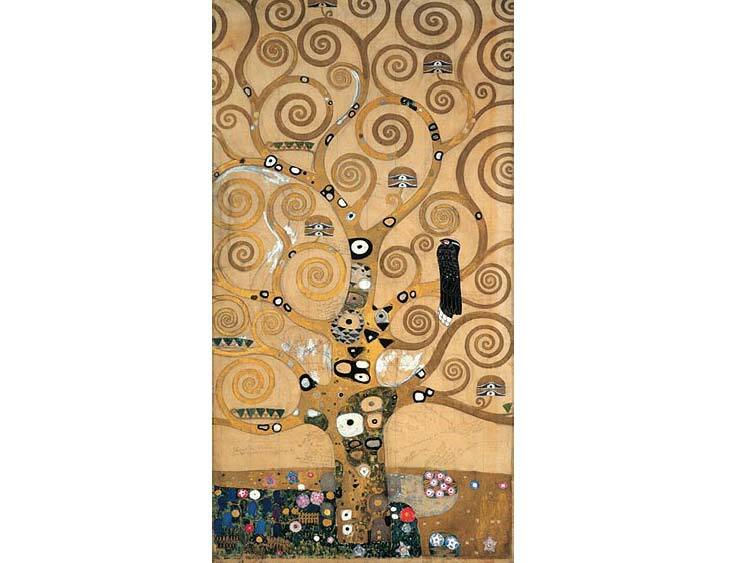 Klimt died three years later in Vienna on February 6, 1918, having suffered a stroke and pneumonia. He was buried at the Hietzing Cemetery in Vienna. Numerous paintings were left unfinished.